Everything You Need to Know About Facebook Privacy. Finding the balance between Facebook privacy and Facebook fun can be challenging. It’s a double-edged sword that allows us to connect with friends no matter where they live, but it also publicly shares information that just a few years ago, we’d never dream of putting online. You can search for people based on where they went to school, the town they live in, clubs they belong to, who they’re related to…but when is it too much? Your birthday is the first piece of information collected when you create an account, and it’s pretty cool getting birthday wishes from friends, family, and other people you never talk to. But while Facebook is sending you balloons and funny memes, your birthday is now public knowledge. It seems harmless, but when you call your bank or other institutions, what is usually the first question they ask to verify your identity? Your birthday! Some password recovery systems even ask questions like ‘which high school did you go to?’ assuming this is knowledge that only you would have. Except…you’ve just publicly shared it on Facebook. Whoops! You could even dig a little deeper and determine your mother's maiden name. Now that is scary. From your Facebook homepage, click your name on the blue bar at the top of the page. Click the three dots next to ‘View Activity Log’ and then select ‘View as…’ This is what someone who is not a "Friend" on Facebook can see about you. While the checkup covers the most obvious info, you can go much deeper. Click the V-shaped drop-down to the right of the question mark. Go to 'settings' and choose 'privacy'. From here you can choose how people can find you, who can send you a friend request, and who can see your posts. On the next option down, in the privacy settings, you can explicitly control who can tag you, who can see or share the tagged content, and what shows up on your news feed. This allows you to control the content before it makes it to your wall. Below timeline and tagging is the 'Blocking' section. If you want to keep people away from you on Facebook, this is the place to be. You can add users to this area to block them from sending you messages, app invites, messages, and many more things. Here's to you and safe Facebooking! 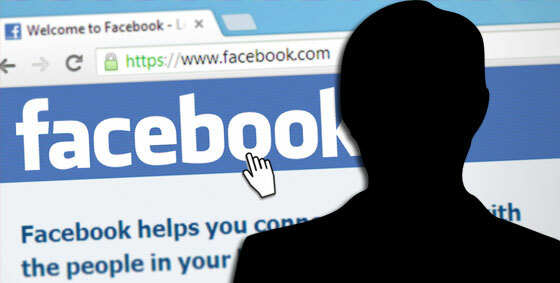 We can help you secure your Facebook profile.